A BUS carrying young Australian and New Zealand travellers to the Anzac Day dawn service at Gallipoli has burst into flames. 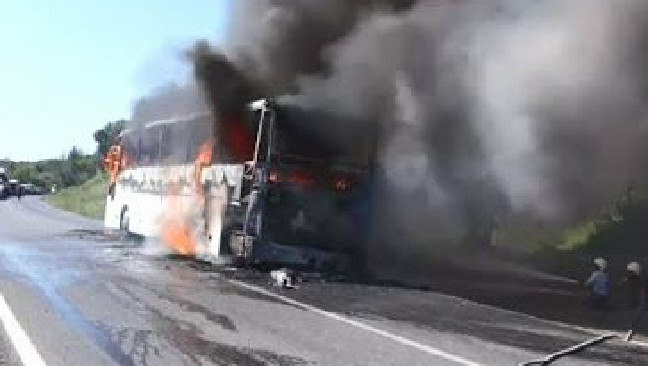 The 45 passengers were four hours into the journey in Turkey when smoke started belching from the engine of the bus and they were told to get off, Nine Network reported. The bus and their belongings were destroyed but organisers transferred the group to a hotel nearby where they received clothes and blankets before boarding another bus to get to the service on time. There were no immediate reports of injury. According to reports the bus was travelling from Izmir, about five hours from Anzac Cove when the engine of the vehicle caught fire. The driver pulled the bus to the side of the road and ordered passengers off the vehicle. The local fire brigade was called to the scene but the vehicle was soon engulfed in flames. 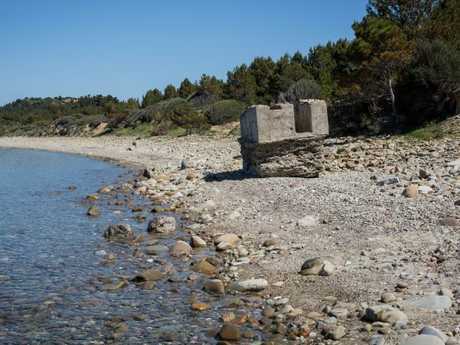 According to Nine, the Australian company organising the Dawn Service, Definitive Events, took the group to a hotel in Cannakkale about 45 minutes from Anzac Cove where clothes and blankets were being provided. Authorities are expecting a surge in the number of Australians visiting the Gallipoli peninsula in Turkey for today's dawn service. Around 1200 people are expected to attend the dawn service marking 103 years since the carnage at Anzac Cove which cost more than 11,000 Australian and New Zealand lives. The strong turnout comes a year after a terror threat saw numbers fall to around 700 people.